The probe mounted on a dedicated support is moved to the point selected and placed on the surface of the sample. Then the temperature of the tip is ramped linearly with time while the degree of bending is monitored. At the point of phase transition, the material beneath the tip softens and the probe penetrates into the sample, this provides the nanoscale equivalent of a bulk thermo-mechanical analysis experiment whereby you can measure the phase transition temperatures of the sample such as Tg or Tm. 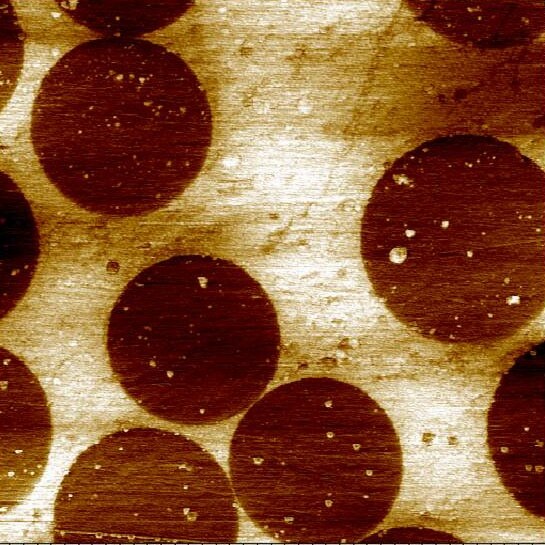 The operation of a Scanning Thermal Microscope is based on Atomic Force Microscopy (AFM) Techniques. When the atomically sharp AFM tip is placed in proximity to a sample to be studied there is a heat exchange which modifies the temperature of the tip. It is then relatively straightforward to use signals from the tip to create what is effectively a thermal map of the surface.